The LA Dodgers gave former pitcher Zack Greinke and rude welcome back to Dodger Stadium on Fireworks night in the much anticipated match-up vs. Clayton Kershaw on April 14th The Diamondbacks came into the game in first place with a lot of confidence this year and new head coach Torey Lovullo. The final was 7-1 LA as Kershaw was dominant going 8 and 1/3 giving up only 4 hits and 1 run while Greinke struggled giving up 10 hits and 5 runs in 5 inningns in his 2nd year of a 6 yr- $200 and change million dollar contract. The Dodgers were smart to resign Justin Turner who is off to a good start and had 2 hits and 2 rbis in the game. 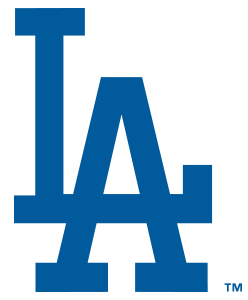 With budding star Corey Seager, steady Andrian Gonzalez in the middle of the lineup, they will be tough. The rest of the team has to pick up the slack under 2nd year manager Dave Roberts to contend for the world series this year. So far it is Toles, Petersen and Puig in the outfield with other veterans ready to play when healthy including Eithier and new-comer Franklin Guitierez. The rest of the rotation needs to come up big with Rich Hill, Maeda, McCarthy and Ryu slated to be the starting 5 as of now pending injuries and surprises. The bullpen looks deep with closer Jansen resigning and bringing in Sergio Romo. The good news is no other team looks to be dominant in the division with the Cubs again being the favorites in the national league but don’t count out the Nationals and Mets with their great pitching. It all comes down to who is playing best at the end of the year, who gets hot and who is most healthy.